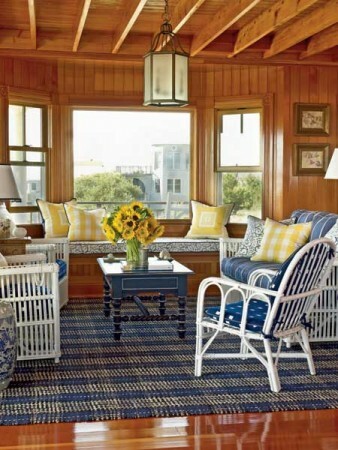 Blue and white is a classic color combination. 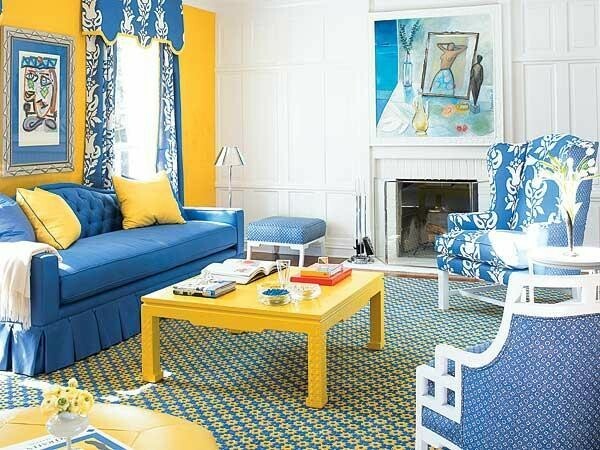 However, if you are looking to update this classic, choose a third color and work it into the scheme. The three most complementary colors to add to blue and white are yellow, green and red. 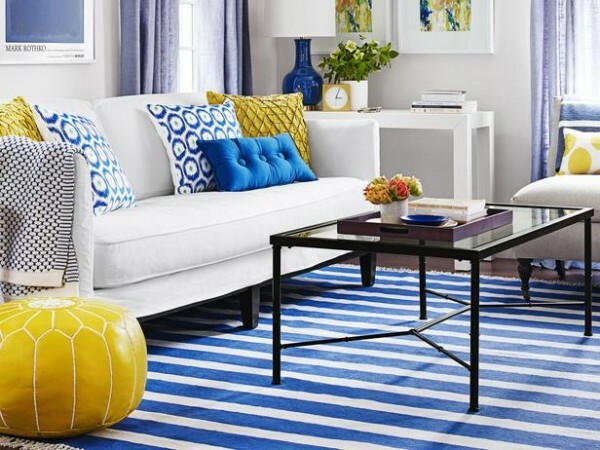 See how you can incorporate one of these colors to update a blue and white interior. 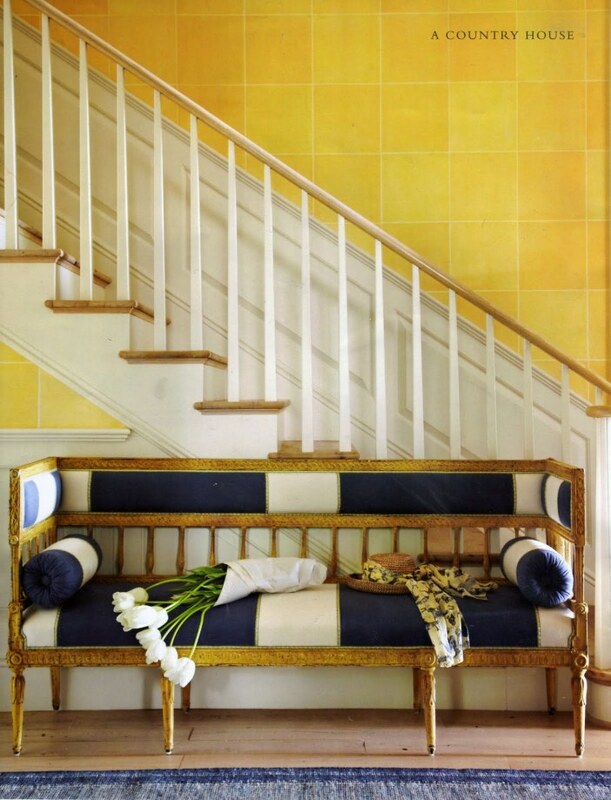 Yellow infuses a pop of sunny color into a blue and white interior color scheme. 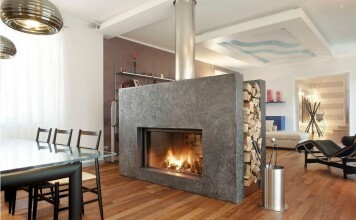 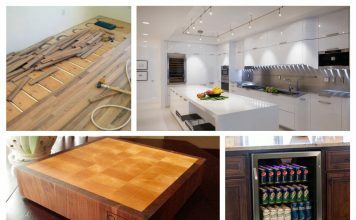 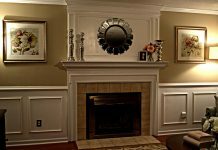 It can quickly update a room with pleasing results. 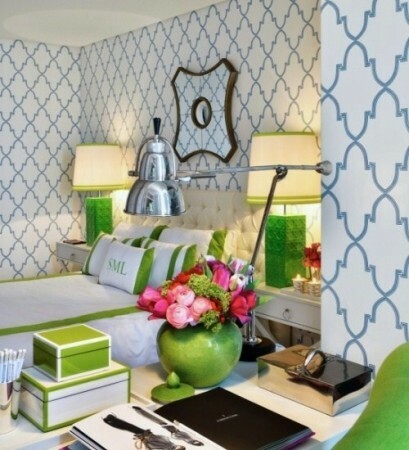 Green, especially bright lime, creates a fresh look for spring and summer. 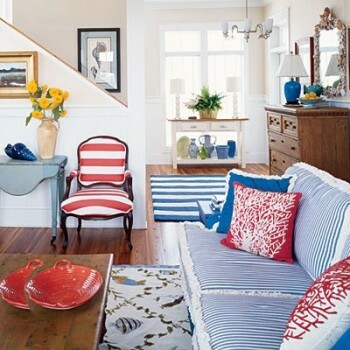 Red gives a blue and white room a boost of energy and is a traditional color mix for a nautical look. 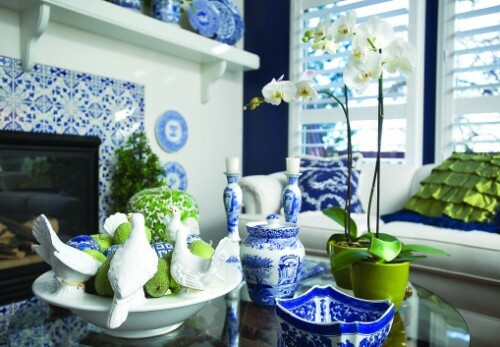 There are three easy ways to add a third color to your blue and white scheme: paint or wallpaper, textiles and accessories. Painting the walls a sunny yellow adds a vibrant twist to the blue and white interior. 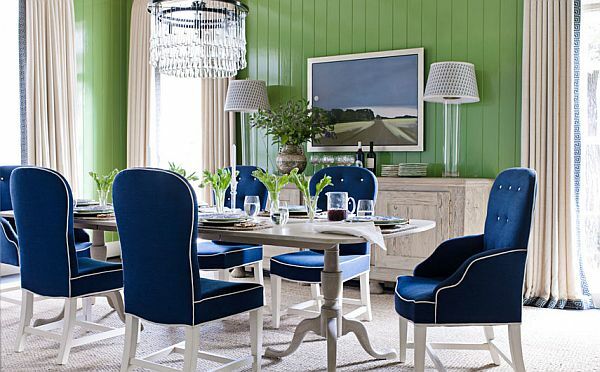 A green accent wall plays up the blue and white in a room. 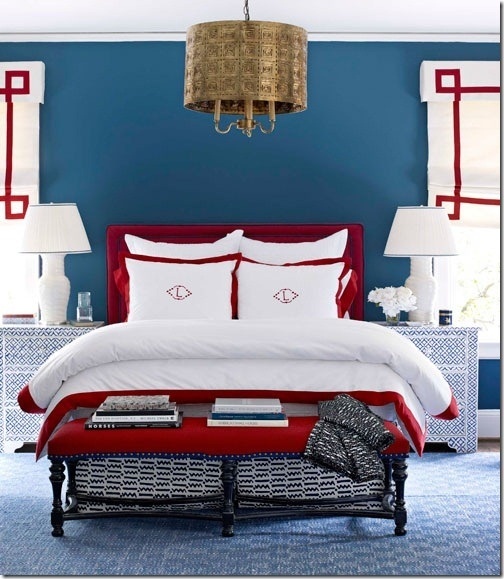 A red stripe wallpaper adds an unexpected touch of color. 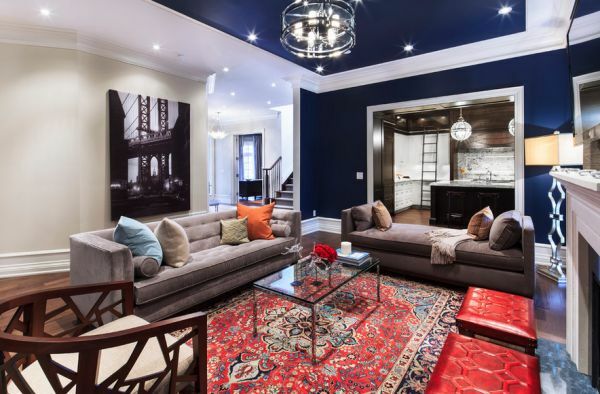 Adding a rug, upholstered pieces, window treatments or pillows in green, red or yellow refreshes and updates a blue and white interior. 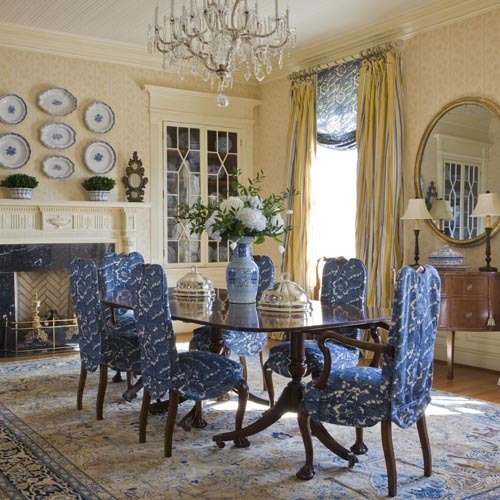 A rug grounds the space and provides a quick update to an all blue and white interior. 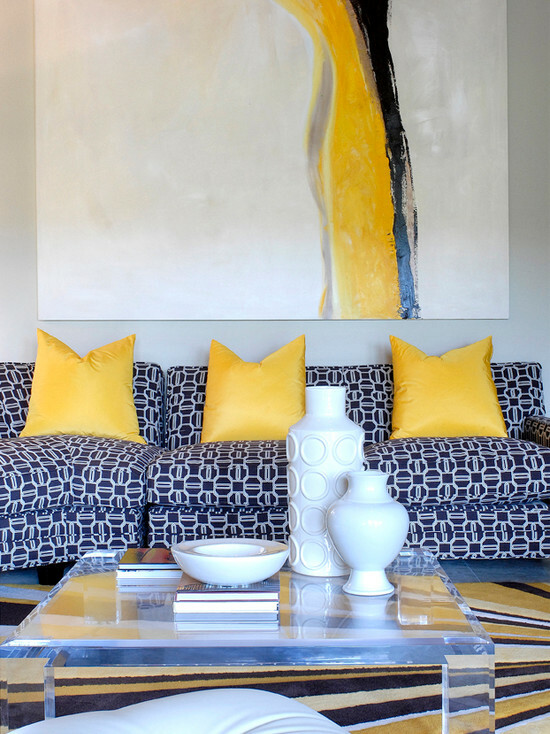 A bold piece of upholstery can quickly boost the overall color scheme of the room. 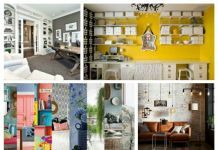 Tie it in with other accessories throughout the room. Update window treatments by incorporating a third color in a patterned fabric. Use a roman shade in the third color of your choice to accent a pair of panels. Pillows are one of the easiest ways to quickly add color to your room. 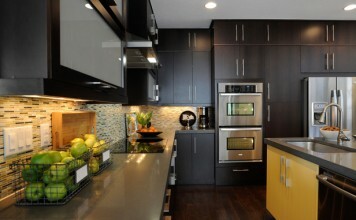 Recover a few already in place or buy new ones in a vibrant yellow, green or red. Accessories add pops of color throughout the blue and white room, breaking it up and adding interest. 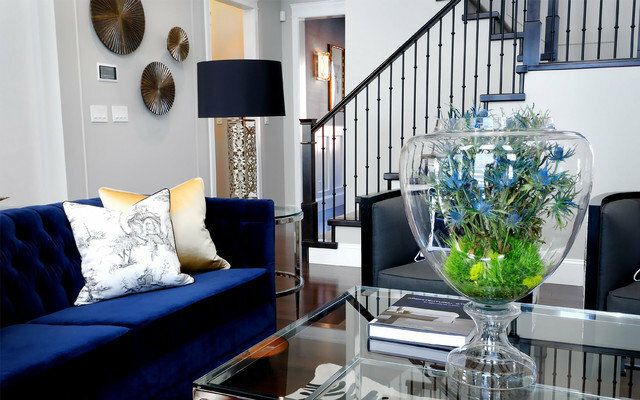 A bold yellow vase, bright green flowers or apples, or a red dish may be just the piece to update a blue and white interior. 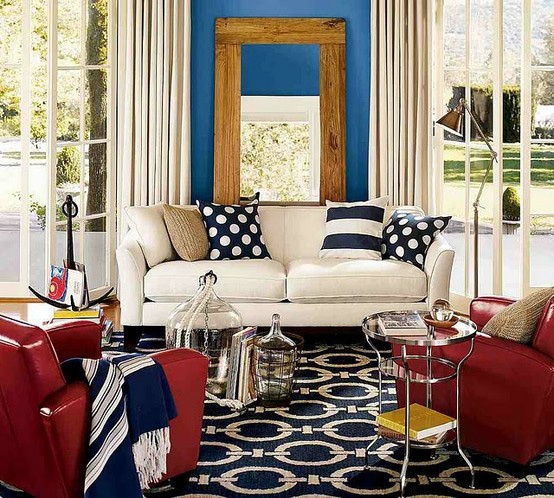 Turn your blue and white room on its toes with splashes of a third color. 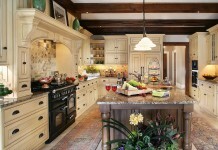 Choose bright yellow, lime green or red to highlight this classic color scheme. 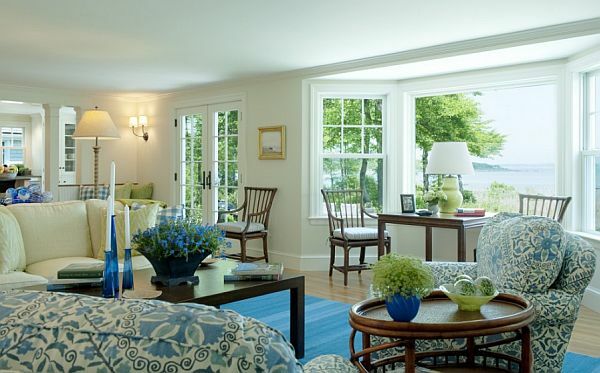 By using paint or wallpaper, textiles and accessories, you can update a blue and white interior with colorful panache.